A new study claims that hospital sinks are festering hotbeds of drug-resistant bacteria aka superbugs. Many reports have found multidrug-resistant bacteria living in hospital sink drainpipes, putting them in close proximity to vulnerable patients. But how the bacteria find their way out of the drains, and into patients has been unclear. Now, a team from the University of Virginia has found out the clear path about their entry into the hospital sink drain pipes. Initially, the bacteria colonize the elbows of the drain pipes. The investigators showed that from there, the colonies grow slowly towards the sink strainers at the rate of roughly one inch per day. Given the distance in typical hospital sinks of elbows below the sink bowls, it frequently takes a week for the colonies to reach the sink strainers. 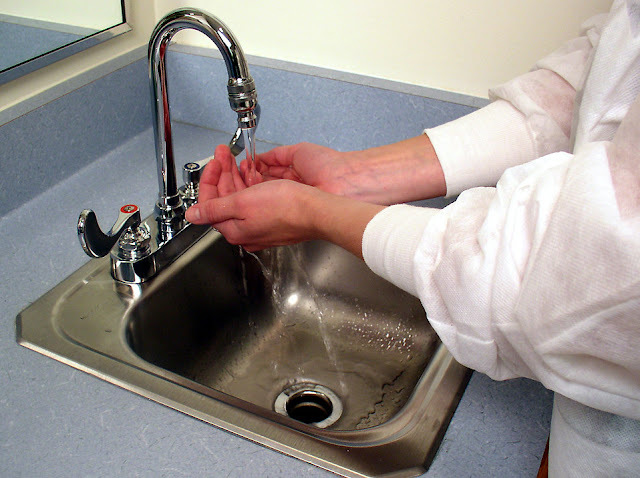 From there, bacteria quickly get dabbled around the sink, and even onto the counters surrounding the sinks, where they can be picked up by the patients. The research is originally published in Applied and Environmental Microbiology, a journal of the Amerian Society for Microbiology.